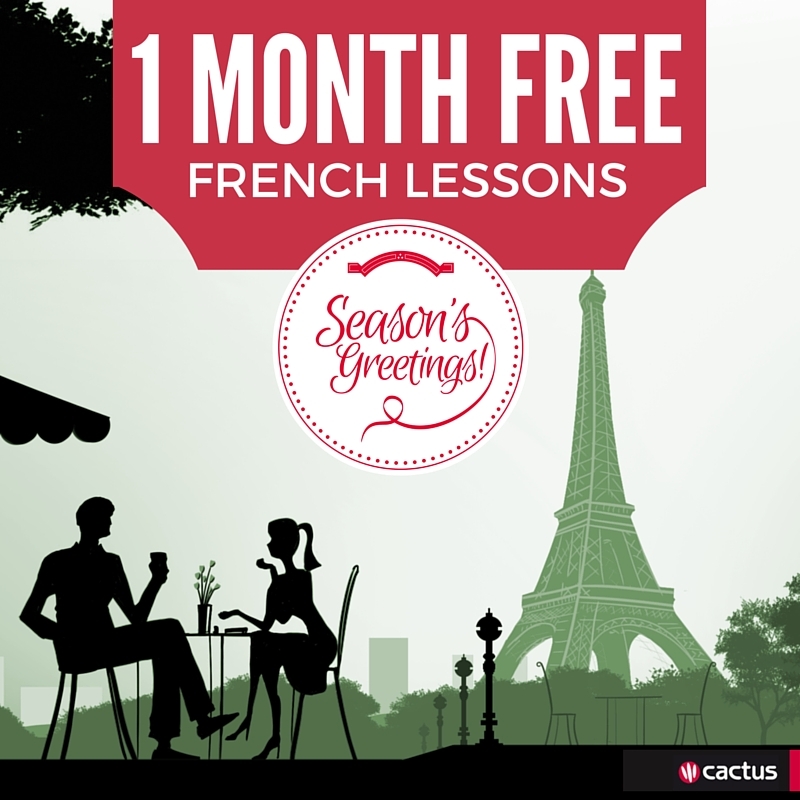 Cactus would like to wish all our language learning friends a very Merry Christmas by offering our online English and French courses for free for one month. The courses are fully interactive, and are tailored to the individual. No two people will experience exactly the same course as the activities selected for you are based on what you can and cana��t do with the language. The activities can be completed via you mobile or tablet, making accessibility and progress a simple part of your day. When signing up to the one month course for free there is no obligation, you do not need to give any credit card details, you are not tied into continuing the course. This is a genuine free offer a�� to get you started on your language learning journey, or simply to help you improve your current level. So if you fancy having a productive Christmas break sign up now and you can be accessing the tools you need to improve your language skills for free. To access your online French course please visit here. To access your online English course please visit here.